#BullbusterAmbassador Jesus from Team Ninja sharkers poses with a fat Bull! The Bull shark is a powerful and aggressive shark. If you want to target a bullshark specifically, put out the biggest bait you can find. The Bull shark will have no problem picking up a 50 Lb amberjack that you put out whole. When you are hooked up, HOLD ON! These sharks have some torque! They are great fighters. One cool thing about targeting these sharks is that they are very prevalent in back waters and even rivers. Some bull sharks have even been known to venture their way well up the Mississipi river. Smaller bull sharks can be distinguished from lemon sharks by their single dorsal fin. While larger bull sharks can be identified by their single dorsal fin, as well as well rounded body. 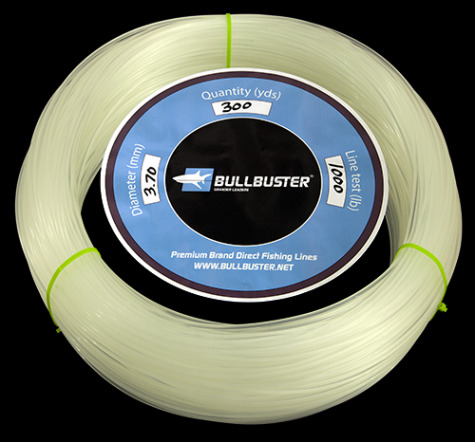 For best results use a conventional lever drag reel with at least 125LB test monofilament. 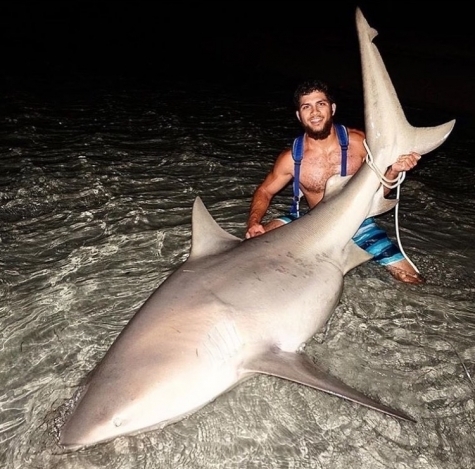 Bullsharks can be landed with lighter mono and star drag reels like Penn Senators, however the fight is usually extended which greatly reduces these sharks chance of survival. A battle with a 400+Lb bull shark on a Penn Senator can be up to an hour, while that same fish can be landed in 20-30 minutes using a 2 speed 80 wide size lever drag reel with mono. Bull Sharks are full of torque! They are strong fighters will a lot of pulling power, they are not super fast like the blacktip shark, but instead tend to take steady and powerful runs! If you can turn their head the battle has turned to your advantage.